It’s graduation season. Droves of eager 20-something college seniors are lining up in their caps and gowns, ready for pomp and circumstance. In the good old days, graduating with a degree meant that you most likely had a job waiting on you. Employers were hungry for new talent, providing most graduates with multiple offers to entertain upon graduation. Unfortunately, the good old days have come and gone. This isn’t a post about the doom and gloom of today’s job market – you’ll find plenty of those out there. 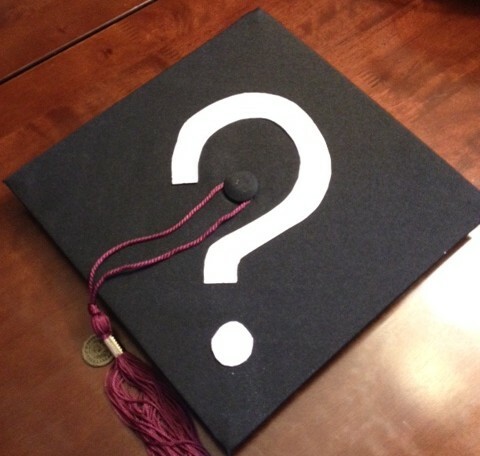 No, this is a post to help you figure out what to do after graduation because odds are, you’re still looking for your first career out of college. Update your résumé. Now that you’re done with your formal education (for now, anyway,) it’s time to make sure everything is updated. Still have your dorm address listed as your permanent residence? You might want to change that. Email address still john.doe@university.edu? Some universities are moving towards an email system that will allow you to keep your email address as an alumnus, but to be safe, consider nailing down john.doe@gmail.com or any of the other free accounts out there. Why? You don’t want an employer to be emailing your school email and get a bounce-back with an undeliverable status. Believe me, it’s usually a signal to move on – most won’t investigate further. The easier you make it for recruiters, the better! BONUS TIP: Update the verb tense to reflect past experience on your résumé. Also make sure to update the dates of experience. Detail is important! Update (or create) your LinkedIn profile. Why is this separate from the first point on résumés? Because LinkedIn is NOT your résumé online. It’s an extension. Use LinkedIn to add work samples (Box.net), presentations (SlideShare,) recommendations from peers and supervisors, and connect with others in your industry. LinkedIn remains THE place for recruiters as they seek top talent (after Google search.) Make sure your profile is updated. Here’s a great article that helps you make the most of LinkedIn: If You’Re Not Linked In, You Might Be Left Out. Keep networking. Regardless if you have a job or don’t have a job, keep networking. Let people know you’re still looking. Help others first. How do you do this? Just ask. Instead of rambling all about what you’re qualified to do, the jobs you’ve applied to, and the skills you possess, ask how you can help your network. Why do this? It’s the right thing to do – you shouldn’t have ulterior motive. However, paying it forward always comes full circle. That person you just helped will help someone else, who will help someone, who will help someone…see where I’m going with this? BONUS TIP: Reach out from time to time, via LinkedIn, email, or phone call and just ask what you can do to help. Don’t wait until you need something. Keep calm and carry on. Whatever you do, make sure it gets you closer (even if it’s just a baby step) to your ultimate career goal. Keep your goal in mind, but also keep calm. Chances are you’re going to be searching for a job for a while out of college. This can be very frustrating, but don’t let it get you down. Stay focused on the end goal and remember, take time for yourself. Surround yourself with friends and family who support your goals and let loose every once in a while. The job search can drive a person insane – don’t let that happen. Breathe, then keep moving toward your goal. Congratulations on successfully completing your college education. Whether it took 4 years or 40, I’m proud of you. I know others are as well. Hopefully, these tips will help you along the way as you land the job of your dreams. You can do it. Now, go get ‘em. Great article! Lately I’ve been reading a lot about new grads and the employment outlook for them. I graduated last year, and after this time in the job market I’ve understood how lucky I am to have a job during these tough times. Thanks for the comment, Alexandra. I also appreciate the link to your blog. Just checked it out – nice work! Keep it up.